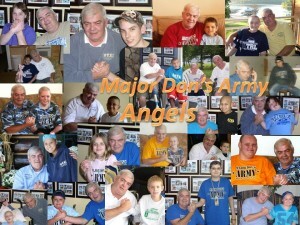 Sift through the stories on the website of Major Don’s Army, and it’s difficult not to tear up. In an effort to help kids struck by cancer, the Branson-based non-profit for years has parachuted in and rescued the cause, at least with a free weekend getaway. Among the many stories is one about Nixa’s Andrew King, who in 2011 (at age 10) was diagnosed with a brain tumor. Talk about a family thrown on an emotional roller coaster. The precocious fourth-grader can read at the high school level, and yet here was facing a menacing disease. Fortunately, in December 2014, Major Don’s Army helped to put their worries aside temporarily. And now look who’s been drafted into the Price Cutter Charity Championship presented by Dr Pepper, a PGA Web.com Tour event that has long benefitted local charities — including a record $1 million-plus last year alone. Yes, Major Don’s Army is now enlisted. This summer, the generosity of Ozarks businesses, golf fans and supporters of area charities can go a long way again to help kids such as Andrew and their families. For example, the full amount of your $25 purchase of a TLC Properties Charity Sweepstakes ticket will go directly to the charity of your choice. Even better, the purchase not only means entry into the tournament but also chances to win gift cards as well as $10,000 and even a 2015 Ford Mustang. Businesses also are encouraged to sponsor events of the PCCC such as Pro-Ams, the daily newsletter and shuttles as their donations will aid charities and their missions. Major Don’s Army plans to use its PCCC dollars toward more Branson family vacations in 2016 for cancer-stricken kids and their families. The charity already has 32 families booked through the end of this year. 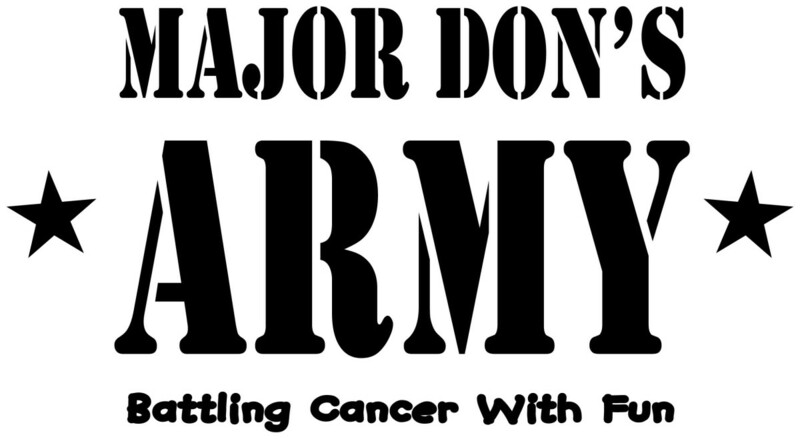 SUPPORT Major Don’s Army: The organization uses donations toward three-night, four-day Branson/Table Rock Lake vacations for kids stricken by cancer and their families who live within a day’s drive. 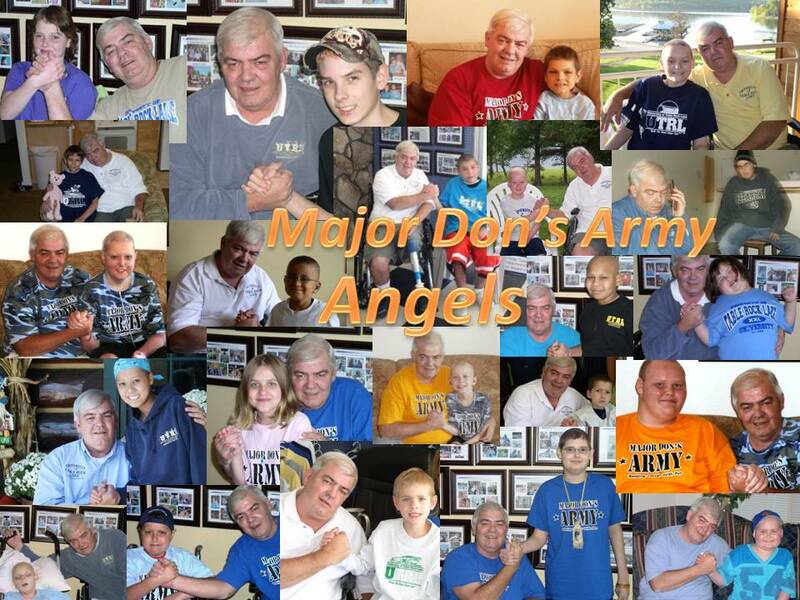 Call 417-739-5350 or mail to Major Don’s Army Inc., 2228 Stoneridge Center Road in Reeds Spring, Mo., 65737. The website is majordonsarmy.org, and check out their Facebook page. Talk about fighting the good fight. 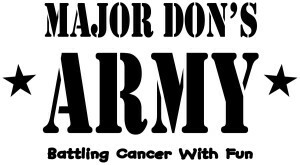 Major Don is a retired regular Army field artillery officer and two-time cancer survivor. Diagnosed with rectal cancer in 1994, Don was given fewer than five years to live, according to his wife, Elise. In 2003, Don and Elise co-founded Major Don’s Army, a non-profit organization that funds three-night, four-day Branson vacations to cancer-stricken kids and their families. Each family receives free lodging as well as passes to attractions like Silver Dollar City, Dolly Parton’s Dixie Stampede and The Tracks of Branson. Groceries, travel money and T-shirts are also provided. Locals might know the couple well. Since 1999, Elise has taught English at College of Ozarks in Point Lookout and also is the director of the college’s Center for Writing and Thinking. 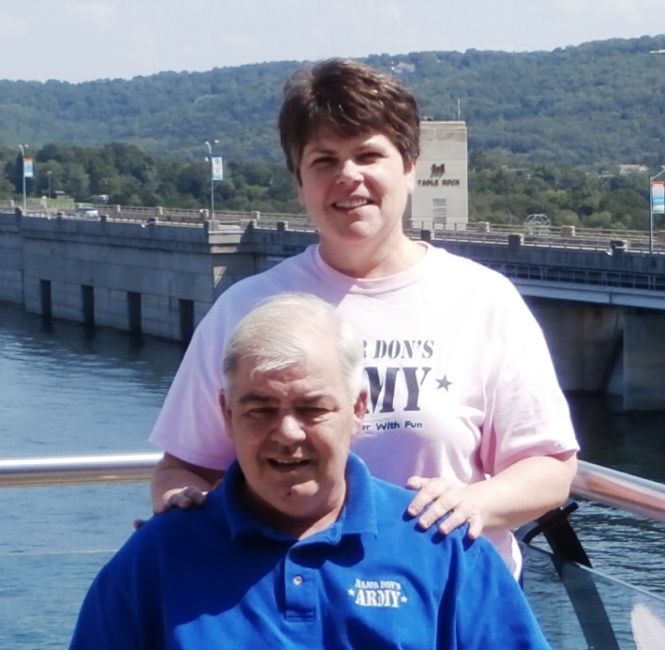 Major Don spent 20 years on active duty as a regular Army field artillery officer. He was first stationed in West Germany as a Pershing missile platoon leader and then held various command and staff positions with the 101st Airborne Division at Fort Campbell, Ky.
His career took him to combat arms division chief working with the Guard and Reserves in Minnesota, and he also coordinated joint level exercise simulation requirements at Fort Leavenworth, Kan. He also was the team chief directly advising an Arkansas National Guard light artillery battalion in the 39th Infantry Brigade. He retired in 2002. However, he was diagnosed with terminal colo-rectal cancer in 1994 and then kidney cancer in 2004. After his leg was amputated in 2003 shortly after his retirement, he made it his passion/cause to remind everyone to take time to have fun and appreciate what they have. A 1978 graduate of Norwalk (Iowa) High School, where he earned 12 varsity letters in sports, Bishop went on to earn a bachelor’s in law enforcement/police science from Sam Houston State University and later completed his master’s degree in correctional administration at Western Oregon University while stationed near there. Elise, born and raised in Omaha, Neb., has primarily taught English at the college level since graduating from Iowa State University in 1978 and since earning a master’s degree in English from Sam Houston State in 2003. The Executive Director of Big Brothers Big Sisters of the Ozarks, Katie Davis, has her team selling TLC Property Charity Sweepstakes tickets for $25 this summer. For days, Keiva Spence resisted the idea. 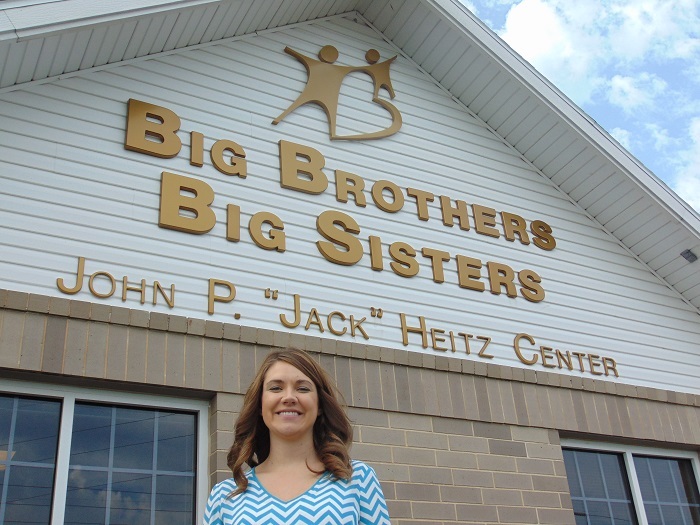 Her mother, already caring for three of Keiva’s cousins, signed her up for Big Brothers Big Sisters of the Ozarks. She also found an inspiration. Today, Spence is one of the success stories aided by the Price Cutter Charity Championship presented by Dr Pepper – a PGA Web.com Tour event that has long benefited local charities for more than 25 years, including Big Brothers Big Sisters of the Ozarks. Businesses and golf fans who support the PCCC should know their dollars can be extremely effective – and positive. For example, the charities receive the full amount of the $25 TLC Properties Charity Sweepstakes tickets they sell. Fans who purchase the tickets not only receive entry into the tournament but also chances to win gift cards as well as $10,000 and even a 2015 Ford Mustang. Businesses can sponsor various events of the PCCC and also donate gift cards valued at least $25 each. For Spence, the charity’s support led to a Big Sister who helped her tap into a passion for the arts. 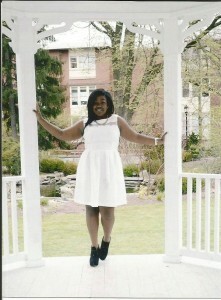 Now Spence is completing her freshman year at Penn State University and chasing a dream, double majoring in African-American studies and digital directing. It could lead to a career in setting up scenes and photo shoots for movies and commercials. The tournament, scheduled Aug. 13-16 at Highland Springs Country Club, has raised almost $12 million for local charities, including a record $1 million-plus last year. SUPPORT BIG BROTHERS BIG SISTERS OF THE OZARKS: Mainly, the organization is always in need of adults who can mentor youths. Call their office at 417-889-3196. Keiva Spence is now a freshman at Penn State University after finding inspiration through Big Brothers Big Sisters of the Ozarks. PCCC dollars supplement Big Brothers Big Sisters’ budget, Executive Director Katie Davis said. The small staff tries to recruit and market to area adults whose positive, one-on-one mentoring could lift up children from challenging backgrounds. “We’ve seen that at the one-year mark is where the positive effectives start occurring in the children,” Davis said. By partnering with the PCCC, Big Brothers Big Sisters of the Ozarks also tries to meet a major need – men as Big Brothers.